With a pedagogical mission rooted in an academically rich, multicultural environment, Foothill College, part of The De Anza Community College District, offers programs that empower nearly 35,000 on-site and distance learning students. The latest AV and IT systems are critical to providing students with real-world experience. 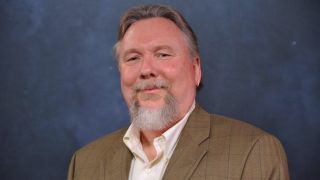 AV Technology magazine was fortunate to ask Joseph Moreau, CTO and vice chancellor for Technology, Education Technology Services, Foothill College, about the challenges and opportunities of supporting the educational vertical in an increasingly digital world. AV Technology: Please tell us about your organization and your role within it. Joseph Moreau: My organization is a centralized IT support organization that serves Foothill College and De Anza College as well as the district’s Central Services organization. Foothill and De Anza serve about 35,000 students each term and are two of the nation’s premier two-year institutions. How is AV/IT convergence playing out in your facility? Joseph Moreau: The convergence of AV and IT in our environment is fairly typical and very rapid. Students and faculty come to our campuses with the expectation that all the kinds of things they can do at home with their smartphone or tablet, home wireless network, and smart TV will be available to them in our classrooms, laboratories, libraries and other academic facilities. Joseph Moreau: Our classroom design team has done a great job in networking all of the control systems and devices in our hundreds of multimedia classrooms. This has provided with a host of new remote maintenance and support options that will not only save us a ton of time and effort, but will also allow us to improve support for faculty. Our classroom design team has also been piloting wireless video projection technology that is compatible with our enterprise network, AV control systems, and is sufficiently secure. Does the IoT (Internet of Things) have any influence in your organization and/or facility? If so, what is your IoT strategy? Joseph Moreau: IoT is most definitely having an impact on our organization, our infrastructure, and our facilities. Our network team often remarks that at this point in time virtually everything with a power cord is probably intended to connect to the network in some fashion. This is causing us to dramatically expand our wired and wireless infrastructure throughout our physical plant. End-users at every level are envisioning myriad solutions that involve IoT. Our Facilities Management team is deploying sensors and monitors in virtually every building to help us reduce resource consumption and waste generation consistent with our sustainability plan. Our Campus Safety team is exploring new technologies to improve safety and emergency response time in the event of a significant safety incident. Our Student Services team is working on a variety of “geo-fencing” solutions to provide context-and location-specific services and information to students. What AV/IT do you hope to buy in the near future? Why? Joseph Moreau: We are moving forward to expand our capacity for wireless video projection in classrooms and other academic facilities. Our faculty are finding these to be exceptional collaboration tools that greatly enhance learning and student engagement. If applicable, how to you procure/purchase your AV for in-house installs? Distributor, manufacturer-direct, in bulk, other? Joseph Moreau: We use many channels for AV procurement. Often we purchase directly from manufacturers. For many of our large scale, classroom installations we purchase through the systems integrator with whom we contract for the installation. Other times we buy from distributors. It really depends on the technology, the quantity, and the installation strategy. Where are technology manufacturers getting it wrong or missing opportunities? Joseph Moreau: In the AV/IT world, I believe that standards are still not strong enough. In many cases there are multiple standards for a single application (such as wireless video projection), so the development of an enterprise-wide approach that ensures interoperability over time is difficult. Joseph Moreau: I believe the biggest obstacle to collaboration is “the way we have always done it.” AV has a long history in higher education. For the most part, AV technology has changed slowly over a long period of time. The impact of IT on AV has greatly accelerated the pace of change and is very much disrupting what had been a relatively stable environment. This creates a level of anxiety for everyone in the support chain from the technicians, engineers, and managers to the faculty. Although far from perfect, our collaboration strategy includes numerous opportunities for technical staff training, opportunities for technical staff to experiment in a low-risk environment, and facilities where faculty can test new technology with colleagues, with their students, or simply on their own. If you would like to nominate an outstanding technology manager for our Meet Your Manager section, email mdouaihy@nbmedia.com.